Yesterday we completed one session of our birthing class. It was six hours of information, activities and discussion- which might sound rough but it was incredibly helpful and worth every minutes. Even Ted would say so! My mind is kind of on overload right now, but with extremely helpful information. First of all, it was nice to meet other pregnant couples and it was awesome having open discussion and questions that other prego moms or dads would think of that we might not have but definitely found good to know. I don’t even know where to begin. I guess I will just condense as much as I can and share what Ted and I took away from today. We watched a video on the stages of birth. It followed three women’s journeys through their day of delivery. It also showed a very detailed image of what is going on from within while going through each stage. This was incredible (and occasionally painful) to watch. By the end of the video, when the women deliver beautiful babies, most of us in the room were teary eyed (including Ted & a few other dads)! After watching these women go through everything that I will soon be going through, it really opened my eyes to really putting my foot down and deciding what Ted and I want for our birth plan. I’ve changed it so much and today I’ve officially decided what I truly want. We also did an activity where as couples we walked from station to station learning different techniques for coping with pain. Massage, relaxation, birthing ball, squatting, walking around, aromatherapy, etc. I LOVED this because we were able to practice each technique. That helped me to remember it. Visual aid and hands on REALLY help me remember right now! We both loved this because this is how we are planning on walking through the pain during labor. Now we both feel way more prepared. I also learned that the essential oil lavender(non-perfumed kind) can help with pain! Can you believe it? It’s going into my hospital bag this week! We also watched a video on IV meds and epidural after previously watching all natural deliveries. Ted and I are planning on going all natural, so that was kind of just hard to watch, um mostly because I dislike needles soooo much. So much! After watching the video, we officially decided all natural opposed to doing some kind of narcotics. This is personally what we’ve decided, so please don’t be offended if you choose/chose differently! We will be using different techniques to cope with the pain. We realize that we won’t really know the intensity until the day of and so we will just bring list of these techniques and pick and choose what will help us in the moment. One thing I realized during an activity is how Ted might react during my intense contractions. They taught us different ways to breath and then had mom put ice in both her palms and squeeze it tight for one minute. Dads had to help us cope with the “pain” of it. (Which surprisingly it stung). Ted knew that I like to be spoken to and encouraged as well as having my back rubbed. He began encouraging me and rubbing my back and halfway through he stopped talking to me. I turned and was like, “Babe, you stopped encouraging me.” and we realized that he wanted to see how I was handling the pain and if I was breathing correctly. You see, even with such minimal pain he wanted to make sure that I was doing okay but forgot to talk and check on me. This was good for us to find out now! My mom and Ted will be coaching me throughout the stages of birth, so I am not worried because they know how I like to be comforted in pain. When our instructor said this phrase “pain with a purpose”, both Ted and I both immediately took this to heart. It settled inside us, really causing peace to us both. That might not make sense, but I don’t really know how to explain it. We know it will be a painful experience but the end result is truly a miracle. When we watched the women deliver their babies and then have their little ones placed on their stomachs immediately, the emotion you saw in the mother wasunbelievable. This pain has a purpose; our little baby! We will make it through that day of delivery, whether it be long or short. This is natural and the amazing thing is even though the labor pains are technically a curse, God blessed us with resting periods between contractions. I find that amazing and so like our God. As strange as this might sound, I cannot wait for the day of delivery and the end result. Our beautiful baby! We did one final activity to end the day. She had us lay a blanket and two pillows down (that we brought) and lie down like we were going to bed. Awkardly everyone laid down. She then dimmed the lights, turned on relaxing music and began walking us through a technique called progressive relaxation. Which basically she spoke to us and had us close our eyes and relax every muscle from the top of our head to our toes. During this I could tell Ted was about to fall asleep because his breathing had changed. I put my hand on his arm and would occasionally squeeze or even once, scratch him to keep him awake. Our instructor then told us to visualize a peaceful thing or something, so I pictured me sitting on the beach in Kho Samet, Thailand listening to the waves. Just as I was doing this I hear Ted begin to breath deeply and then immediately snore!! I was shocked! I squeezed his arm and he opened his eyes and turned to me “I fell asleep didn’t I?” I was like, “Yes and you snored!”. We both started giggling like kids and of course we were in the front of the class. Oh man! 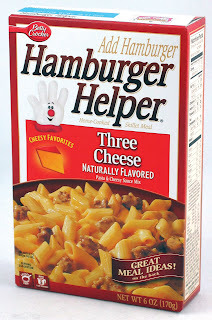 I tried to relax after that, but I closed my eyes and instead of picturing Thailand I pictured hamburger helper. Our instructor then said, “Picture the details.” So I picture the noodles all covered in sauce. mmmm. She then said, “How does this make you feel?” and I was all of a sudden extremely hungry. After this visualization… she had the dad massage the mom’s head all the way down to her toes. This was relaxing and amazing! i love all of your posts & hearing of how much you love your kid. i think its amazing, you're going to be such a great mom.